I’ve written of the Qianlong Emperor before. He was one of China’s greatest rulers. During the 18th century, this devout Buddhist was a contemporary of France’s Louis XV, Catherine the Great of Russia and George Washington in America. At the time, he ruled the most powerful, wealthiest country on earth. In the Qianlong Emperor and Google, I wrote if Google had read what the Qianlong Emperor (1736-1796) wrote in his famous letter to King George the III in 1793 — when China was strong enough to resist external influence — it might understand why China reacted the way it did when Google refused to censor its search engine. In fact, the Chinese make decisions based on a cultural foundation that many in the West do not understand. However, we may learn much of China if we pay attention to its history. Although China has changed a lot as it modernizes, the Confucian, Buddhist, Taoist foundation that makes the Chinese unique still exists. In The Economist’s February 5 issue, Paradise on earth, we learn more of the Chinese and how they honor their ancestors. The Economist says, “Unwilling to challenge the record of the longest-serving Chinese monarch (his beloved grandfather, the Kangxi emperor) who ruled for 61 years, Qianlong vowed to remain no more than six decades on the throne.” The Qianlong Emperor kept his word and retired several years before his death. 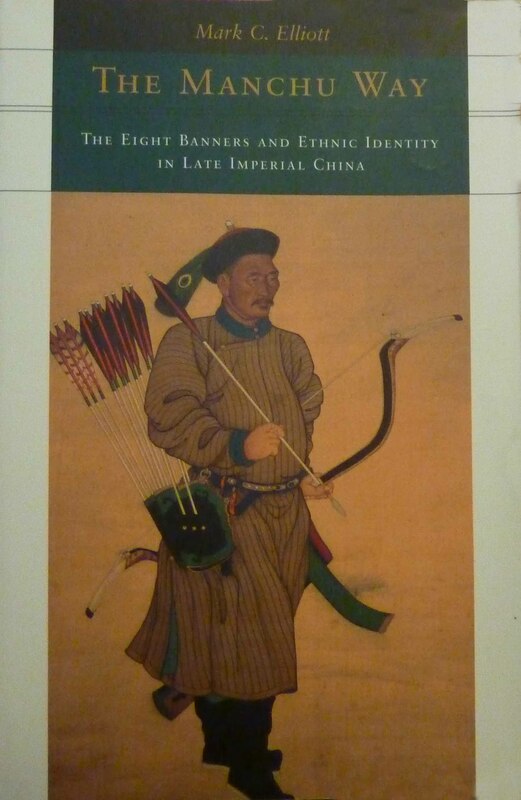 I have a book on the elite troops of China’s Qing Dynasty, and used The Manchu Way for research (along with lots of other work) while writing My Splendid Concubine and Our Hart. I spent from 1999 to late 2007 researching, writing, revising, editing and rewriting the manuscript. I wanted 19th century China to come alive and be another character in Hart’s Concubine Saga. Mark C. Elliott wrote The Manchu Way. I was attending a NCIBA Trade Show in Oakland, California several years ago and met Elliott. When I expressed interest in the book due to my project, he gave me a copy. I was fortunate to have this resource while writing of Robert Hart’s early years in China. In fact, Hart was the only foreigner the emperor trusted and Hart worked for Qing Dynasty for most of his life. The Qianlong emperor (pronounced “chien-lung”) was the fourth monarch of the Qing dynasty (1644-1911) who reigned from 1736 to 1795. The four-minute video starts by saying that during the reign of the Qianlong Emperor there were several rebellions in Sichuan province. The Qing banner armies fought wars against the Uyghurs, Kazakhs, Kyrgyzs, Evenks and Mongols. Unsuccessful costly wars were also fought with Vietnam and Myanmar. Although millions of square miles or kilometers were brought into the empire, the strain on China’s treasury and military due to casualties and deaths resulted in a military decline. This decline contributed to China’s weakness a few decades later when the British Empire and France invaded China to force the Qing Dynasty to allow opium to be sold to the Chinese people and give missionaries total freedom to convert the population to Christianity, which caused more wars and tens of millions of deaths during the 19th century. The Qing army was divided into eight banners. Each banner had its own color scheme, which was reflected in their clothing, armor and flags. There were eight Manchu banners, eight Mongolian banners and eventually eight Han Chinese banner armies for twenty-four armies. In 1648, there were between 1.3 and 2.44 million people in the Chinese, Manchu and Mongol Banner armies. By 1720, the numbers were estimated at between 2.6 and 4.9 million. China has a history of maintaining large armies for more than two thousand years mostly for defense. I’ve been reading the news of the Qing Dynasty vase that sold for $85.9 million recently. That vase may have belonged to the Qianlong Emperor, who ruled China from 1735 to 1795. Blogs and the Western media are gushing about the auction price as if that were all that counts. Posh Stuff Online says the (bidding) at Bainbridge’s auction was a battle among Asians. Instead of focusing on the price, we should understand the reason why Chinese buyers would spend so much for a piece of China’s history with an imperial seal on it. One theory says that the vase may have been among the treasures looted by British troops when they sacked (and destroyed) the imperial palaces in Beijing during the second Opium War, from 1856 to 1860. I think the theft of the 85.9 million dollar vase is a fact. There is no other way to explain how an imperial vase from the Qianlong Emperor ended in England. 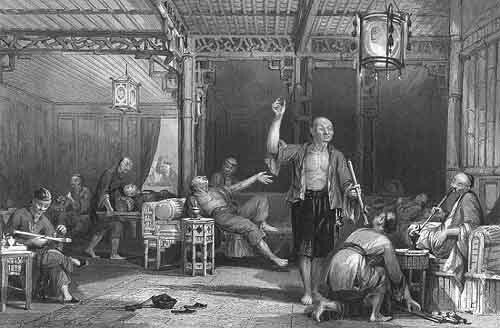 The Opium Wars, which started in 1839, were the beginning of a long dark period in China’s history that would not end until after 1976 when stability returned and China started rebuilding. A once proud and powerful culture that has survived from the Qin Dynasty in 221 B.C. to 1839 (nineteen dynasties) was brought low and the Chinese were treated by the West as if they were second class savages to be indoctrinated (another word for brainwashed) into Western, Christian ways. No, it wasn’t about the money. Whoever won the vases at those two auctions has returned some honor to a modern China discovering how to stand tall and proud again. Why did the winning bidders do it? Because they can. What happens today will be history tomorrow. With that in mind, I copied this opening quote from what Willi Paul wrote for Sustain Lane.com, “By stealing our technology, copying our products, forcing us into a trade deficit, manipulating their own currency and then buying our debt, the Chinese may win the long-term war of globalization.” Paul’s rant goes on with examples of how the Chinese are unscrupulous spies and thieves. If America and the rest of the Western world are in a trade war with China, the Chinese did not fire the first shot. In the 18th century, the powerful Qianlong Emperor rejected proposed trade and cultural exchanges with the British Empire and said the Qing Empire had no need for goods and services the British could provide. The Western powers did not like being told “no”, so during the 19th century two Opium Wars were fought with China to force the door to trade and Christianity open—I recall that Japan was forced to trade with the West too, which resulted in the bombing of Pearl Harbor leading to World War II. In fact, those trade wars started by Western powers with China in the 19th century aren’t over yet and the rules of fair play do not apply to love, business and war. Google doesn’t get it. If they read what the Qianlong Emperor (1736-1796) wrote in his famous letter to King George the III in 1793—when China was strong enough to resist external influence—they might understand. China is a family oriented culture, and the individual is not as important. Public freedom of expression does not fit the Confucian, Taoist foundation that begins in the family where you do not publicly criticize your elders or your leaders and expect to get away with it. Starting with the first Opium War in 1840 until Mao won China in 1949, China was weak and was bullied by Imperial powers. Now that China is strong, they are saying “NO” as the Qianlong Emperor did.